Dealing with the breakdown of a relationship is emotionally draining, more so where children are involved and there is a dispute as to whom a child should live with or alternatively, spend time with. Our dedicated Family Department team understands the sensitivities of these situations and will always advise clients initially that it is in everyone’s interest to try and reach agreement so as to avoid conflict and argument. However, the breakdown of a relationship often causes conflict between the respective parties, and we can assist in trying to bring a resolution to the matter. This is often done through correspondence so that agreement can be reached without the need for discussion which can often lead to further argument. Most common Children’s issues involve contact arrangements and/or with whom a child should live. The Court has a long established principle that the child’s welfare is the paramount consideration and the Court is obliged to follow a checklist to determine what is in the best interests of the child. However, resolution or agreement often cannot be reached because one of the parties may refuse to enter into discussion with the other party because of what has contributed to the breakdown of that relationship. It is often recognised that a child should have contact with both parents and where one party is seen to be acting unreasonably, our team will advise on the steps to be taken to achieving a favourable outcome. Similarly, where agreement cannot be reached as to where a child should live, we can help with proceedings which may have to be issued for the Court to determine with whom the child or children should live. 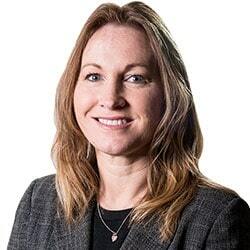 Our Family Department is headed by Nicola Barrow who has over 20 years’ experience of dealing with a wide variety of claims in relation to Children Act matters. For a free and confidential discussion in the first instance, please contact Nicola on 01282 433241.